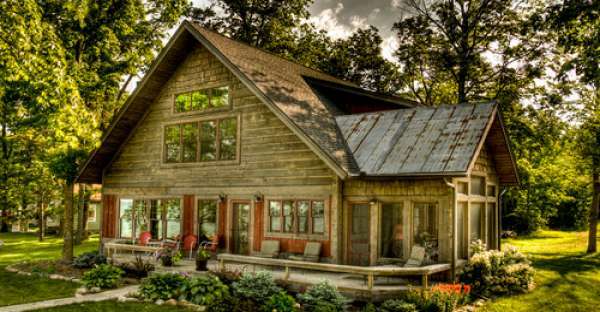 This rustic log cabin is a beauty to look at, but wait until you see the stunning interior! 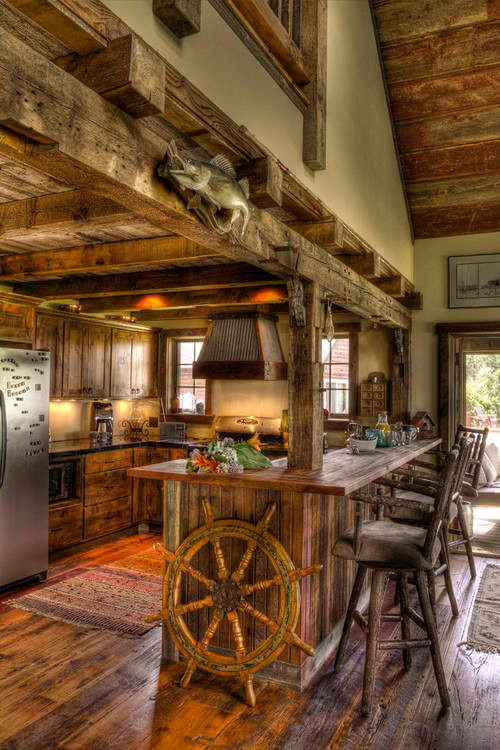 A creative log home design approach with many rustic features and unique decor has a memorable appeal. 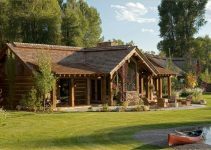 This featured log cabin is made with quality craftsmanship and materials, with vintage pieces of American history from wagon wheels to farm equipment scattered throughout … it is truly stunning. 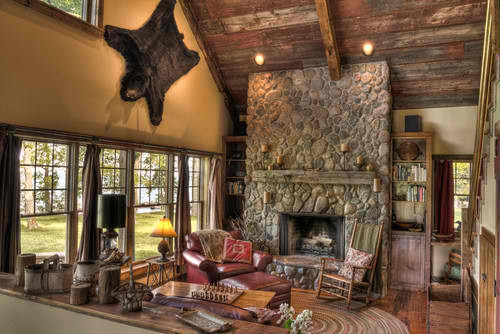 I have wormey chesnut for kitchen cabinets, I replace the hindges with strap hindges and about 4″ dear antlers. 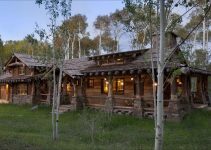 How do we get the plans for this cabin?